I have an exciting giveaway for you today! The great folks behind Outfit Additions would like to give one lucky reader the chance to win $75 worth of jewelry and accessories! The necklace I have on above is the spiked bib necklace. I’m obsessed with it because it gives the slightest bit of edge to whatever outfit I’m wearing. It also makes my outfits look different because the necklace commands attention. I also love it in silver. Outfit Additions has more than just necklaces… they have bracelets, earrings, bracelets, belts and wallets, too. Visit Outfit Additions and pick out up to $75 worth of your favorite items and leave a comment with your picks! This giveaway will end December 10th at 11:59pm. I would love to add the gold double hoop, and one of the drop big necklaces to my collection. Love the black and the turquoise!!! Great Giveaway! I'm a follower of Style Me Swanky via GFC! I love the braided green bird string bracelet, layered bohemian bead necklace, and the orange triple layer bib necklace! Fabulous giveaway! I liked Outfit Additions on Facebook! I am a followr on GFC. I would love to have the rose gold chain necklace, the clear crystal silver bangle, the twisted ivory cuff bracelet and the silver twisted twig bracelet. Wow that is alot of stuff for $75 they have really good prices! This is the first giveaway I have ever entered! I have seen many, but I really really would love to win the Golden Feather Charm Necklace (28.00) and the Organic Gold Link Necklace (32.00). I'm your follower! Of course. Love the orange triple bead necklace. Love the gemstone flower pendant. Love the brushed silver 8 earrings. Love the champagne swirl belt. Maaaybe have gone over my limit here. I like OA on FB. Pinned my favorite necklaces to my Pinterest board! I would choose the mini navy teardrop earrings, the rose gold crystal studs, the gold twig bangle bracelet and the rose gold chain bracelet! I liked Outfit Additions on Facebook -Erika W.
Love their jewelry and their prices are great! I'd pick the Tigereye & Pave Bead Stretch Bracelet, Turquoise & Pave Bead Stretch Bracelet, Ethnic Green Stretch Bracelet, and the Hammered Shamballa Mixed Metal Bracelet. Thanks for the awesome giveaway! I would love the cobalt & teal triple layer bib necklace and the pink string cluster bracelet! Thanks for this! Girl you are the queen of giveaways! Always the best goodies! If I win I would love these items: silver twig bangle bracelet, gold twig bangle bracelet, mini turquoise drop earrings, faceted clear teardrops, and brushed gold link bracelet. I liked Outfit Additions on Facebook. If I win I would love these items: silver twig bangle bracelet, gold twig bangle bracelet, mini turquoise drop earrings, faceted clear teardrops, and brushed gold link bracelet. I love the turqouise tassel earrings, the gold bib spike necklace, and the gold twig bracelet! Loving: topaz crystal string bracelet, statement art deco dangle earring, and purple raindrop pendant necklace. Thank you for this great giveaway! I "liked" Outfit Additions on Facebook! I would love the hammered triple gold hoop earrings for my 8 bridesmaids! I would love the bronze crystal tie bracelet, the rose gold chain bracelet and the Spiked baguette Collar necklace! Green triple layered bib, pink drop bib and the silver crystal studs! I love the rose gold crystal studs, twig bracelet, and gold leaf bracelet. SO earthy and classy! I "liked" Outfit Additions on FB! This is a toughie. I think I'd go with turquoise resin abstract drop earrings or crystal leaf earrings – antiqued brass or navy & turquoise sunburst necklace. There's too much to choose from! Stupid computer deleted all the stuff I had written here. GAHH! navy & turquoise sunburst necklace or crystal leaf earrings – antiqued brass or turquoise resin abstract drop earrings. So many pretties! Twisted turquoise bracelet, muted gold & crystal hoop earrings, ornate mint bead dangle, and royal blue candy necklace are my favorites!! love the wild bead statement necklace and the rose gold chain bracelet!!! I would love the rose gold chain bracelet, simple crystal encrusted string bracelet, pave and rose gold shamballa beacelet and the rose gold nugget drop earrings! I love the cobalt & teal triple layer bib necklace and the brushed silver link collar necklace and the emerald green stretch bracelet. such beautiful stuff! Just checked out their website! All their items are to die for- if I had my pick I'd love the Hammered Pear Pendant Necklace, the Hammered bracelets in ivory, deep pink, and cobalt blue, and then top it off with the Rose Gold Crystal studs. What fun! I love the hammered spike bib necklace (in gold, hammered cobalt blue bangle, twisted ivory cuff bracelet, and the hammered pink bead bangle! I too follow SMS via GFC. So fun! I love the spiked bib necklace in gold, the rose gold crystal studs, the long gold hoop necklace, and the faceted turquoise bead bangle. I'm a follower of course! I liked outfit additions on facebook. Following you! 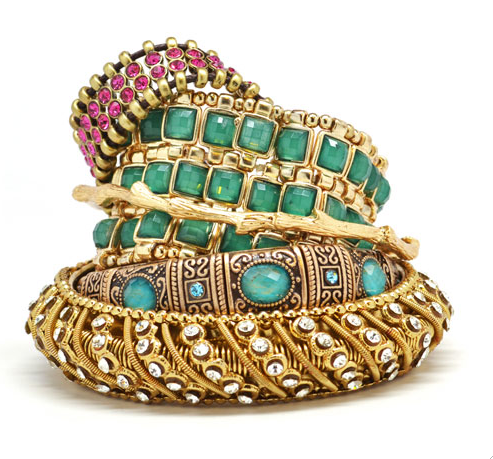 I would choose the spiked bib necklace, the brushed gold crystal wheel earrings and 2of the turquoise twisted bangle! I happily follow your blog via GFC and I just checked out their website- I LOVE the blueberry bead or wild bead necklaces! Perfect for the holidays! And they have great earrings too..great find just before the holidays! AND I liked Outfit Additions on Facebook. Thanks for this great giveaway! Loooove all the items on this post! I would get the silver spike bangle bracelet, the statement art deco dangle earrings and the rose gold chain necklace! The ornate brushed silver earrings, the cobalt and teal triple layer bib, and the hammered turqoise hoop earrings. Love! I would choose the Emerald Green Stretch Bracelet and the silver hammered spike bib necklace. gorgeous, I am a new follower. Would def. love to pick that neckace up and the bracelts listed as well! YOU got me hooked on this site! (I may or may not have already purchased the gold hammered spike bib, thanks to you!) I love the green triple layer bib and the pink string cluster bracelets. Keep up the great work, Meg! 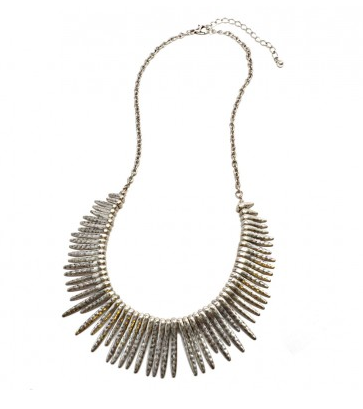 I may or may not have already purchased the gold hammered spike bib necklace, thanks to YOU! I've got my eye on the green triple layer bib now….and the pink string cluster bracelet. Keep up the great work, Meg! Great giveway! Love the Navy & Turquoise Sunburst Necklace, Hammered Jet Hoops Earings and Twisted Ivory Cuff Bracelet! I am a follower via GFC and I would choose the cobalt & teal triple layer bib necklace and the layered bead collar necklace! I liked them on Facebook – wish I had known about them sooner!! Such cute stuff! Here is the link to the pin –> http://pinterest.com/pin/69524387969336812/ I love that bracelet! I love the black/gold faceted bracelet that I pinned, also the green triple layer bib necklace!! I pinned some of their items on my "Look" board. I love the dark grey drop bib necklace, the gold spike necklace and the turquoise tree pendant! Follow via GFC, love: tree of life long pendant necklace, faceted clear teardrops, rose gold crystal drop earrings, petite leaf earrings, gold crystal hoop drop earrings, hammered gold double hoop drop earrings; hope that's under $75…math is hard? I'm a liker on facebook too! I love the Silver Hammered Spike Bib Necklace, the Silver Spike Bangle Bracelet and the Black Spike Stud Earrings! All about those spikes! So adorable! Oh and I left out in my previous entry that I follow via GFC!